Now that the school year has begun, I want to return to my WinkWorld blog. In this post I will share a story about our first Face-to-Face class (most of our classes are online) this past week. I have always been intrigued with intentional and incidental learning. I have learned intentionally a lot of things, and forgotten many of them. However, when I incidentally learn something, it seems I never forget it. The same often happens with the teachers in my classes. I had planned that our objective (intentional teaching/learning) for the day would be the chapter on reading, Foundations for Teaching English Language Learners: Research, Theory, Policy, and Practice (2015) by Wayne Wright. This is a text, which I love, and I know the teachers in my class know a lot about teaching reading. However, in their class reflections, I can see that, in addition, they learned several other ideas, incidentally. Read about Mem right here. Most of the teachers told me that they had never heard of Mem Fox. (Horrors!) I told them to go home and check their children’s books, their class libraries, and the school libraries. Sure enough: Turns out that they know Mem’s children’s stories, but were not aware. 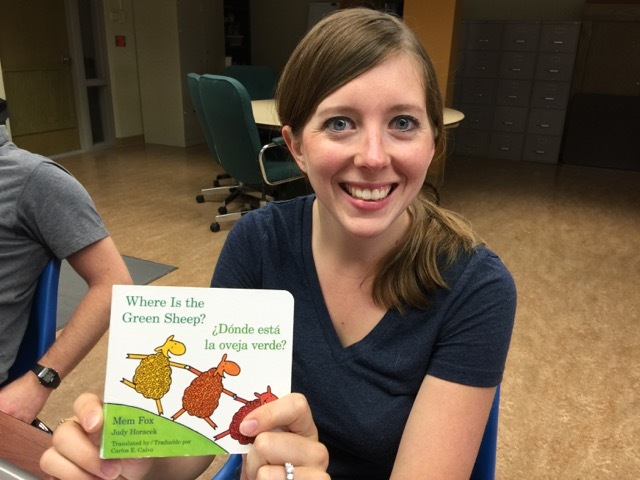 One young teacher from SD found “Where Is The Green Sheep?” and realized that it had been a gift from the pediatric doctor on her son’s last visit. “And, it is written bilingually,” she told me. Another man from WY found several of Mem Fox books in his kids’ bedroom. Read the 10 Read-Aloud Commandments right here. What Is Home Run Reading? What is home run reading? Read here. The Story of “The Secret Garden” Being my Home Run Reading Book. My home run book, The Secret Garden. Meet the Book Whisperer right here. What is the 40 Book Challenge? Donalyn revisits her 40 Book Challenge right here. The follow graduate student’s reflection wrapped all of this into her two paragraphs. Last week, I learned a new term: home run reading book…the thought that people who do not like to read have simply not hit their home run reading book really struck me. This makes Donalyn Miller’s 40 Book Challenge even more meaningful, since bringing variety into people’s reading choices just might help them hit their home run. I also learned that children do NOT need formal instruction to learn how to read. I suppose I knew that deep down all along, since I have no memory of learning to read and entered school already reading. Yet I’ve somehow held an unexplained bias against the whole language approach until the idea of part-to-whole was explained to me. I learned a lot more about the whole language approach to reading this week, and I find it very interesting. WW Readers, next week maybe I should mention intrinsic and extrinsic rewards…dare I mention Alfie Kohn? Read about Alma Flor Ada right here. Next, I see on their reflections that that they think they are not aware of Alma Flor Ada, either. I’m just waiting for them to find some of her beautiful bilingual books in their class and school libraries. Meet Johanna Basford right here. 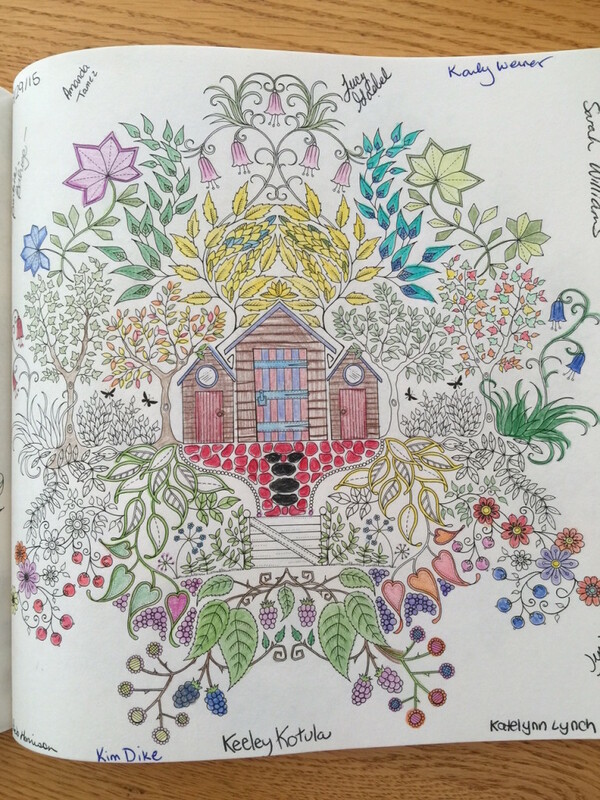 OK, I’ll admit it: I just happened to have my “Secret Garden” adult coloring book and colored pencils with me. Here is a photo of what they were doing, while we talked about Mem, Alma Flor, Donalyn, home run reading, and Wright. I started to write but my computer cut me off. Anyway, a friend mentioned Sally Thomas on one of my Facebook posts about reading – and ending with the book the Art of Slow Reading. Sally Thomas thought I was you. I let her know that I knew of your work too!! Love all these connections among people who love books and stories and children.